For eighteen years, traditional medicine offered me only pain killers and muscle relaxants which left me unable to fully live my life. The pain was a constant companion…until I learned Reiki in 1995. Within 2 months, I noticed something was beginning to change. Within 4 months, the constant pain was gone. Within 6 months, my spine was completely healed. October 28th 2009 - In the late 70’s I dropped my daughter off at a birthday party and was driving home on Milwaukee Avenue. The roads appeared clear, but there was a patch of black ice in my path. I spun out at 50 mph and collided with an oncoming car. It was a miracle that we all survived, but I was left with severe whiplash, spinal subluxations and hyper mobility. This created intense migraines and pain in both my neck and lower back. Traditional medicine offered me only pain killers and muscle relaxants which left me unable to fully live my life. Thank God chiropractic got me back on my feet, but for the next eighteen years, I needed to visit the chiropractor one or two times every week to stay on my feet. And still the pain, though less intense, was a constant companion…until I learned Reiki in 1995. Within 2 months, I noticed something was beginning to change. Within 4 months, the constant pain was gone. Within 6 months, my spine was completely healed; even the curvature in my neck had changed…and bones don’t move! Or so we’re told. Now when you deal with this sort of trauma and then it’s simply gone, your life is profoundly changed. You KNOW there is a higher order. As spiritual beings, divine essence, we all have the capacity to heal ourselves and others; we all have spiritual depth and purpose; we all have the ability to create for ourselves whatever we wish to create. We can know profound peace. We can evolve! This world is changing; surely you’ve noticed. Even time seems to be moving faster. We are being spiritually supported to grow and evolve to the next level of being and that’s not an easy task. And many of us are floundering as we deal with our karma and emotional/physical issues, thinking we’re the only ones. It’s time to awaken to the majesty of who we really are. Reiki, taken to its deepest levels, can help us to do this. Reiki, the ancient Tibetan healing art of spiritually guided universal life force energy feels like a wonderful flow of love radiating throughout your body as it clears and balances energy pathways, moving you to a new level of awareness and service. There is a life force which flows through your physical body through pathways called chakras, meridians and nadis. It is also all around us in an energy field called the aura. It is at the causal level of disease and physical imbalances. It is highly responsive to your thoughts and feelings. It is disrupted when you succumb to negative thoughts, feelings, responses or reactions. Reiki heals by flowing through the affected parts of the energy field and charging them with positive energy. It raises the vibratory level of the energy field in and around the physical body where the negative thoughts and feelings are attached. This causes the negative energy to break apart and fall away. In so doing, Reiki clears, straightens and heals the energy pathways, thus allowing the life force to flow in a healthy and natural way. This may alleviate the symptoms of disease or disharmony by addressing root cause, revitalizing the chakras and enhancing the flow of life force, “Ki”. This impacts the physical, mental, emotional and spiritual bodies through releasing the blocks to your manifesting the energy of the loving and powerful essence which you are. The Reiki student learns a natural way of healing which balances energy, re-establishing spiritual equilibrium and mental and physical well-being. Dr. Mikau Usui was a Japanese statesman, equivalent to our Secretary of State, in Japan in the late 1800’s. He was a devout Buddhist who, for many years, pursued a quest to discover, as both Buddha and Jesus had promised, how we could learn to heal. As the quest continued, A Buddhist priest in Kyoto gave him access to their archives in which were stored Tibetan Sutras, sacred ancient texts. And there the beginning of the answer began to unfold. This led him to make a pilgrimage to Mount Kuriyama, a Japanese holy mountain. After fasting and meditating for 21 days, his third eye chakra was struck by a powerful overwhelming light. Out of this light came bubbles of light energy in white, blue, purple and gold which contained symbols of the Reiki Ray. And the light had a consciousness; he heard a voice which said to him, “these are the keys to healing; learn them; do not forget them; do not allow them to be lost.” He was then initiated into the path of Reiki. It soon became apparent that Dr. Usui now had the power to heal; now he needed to learn how to use it. He traveled to the beggars’ quarters in Kyoto to begin healing the sick there. He healed they young and the old, the sick and infirm. However, after about a year, the beggars began to return, once again ill. Out of Dr. Usui’s meditations on this challenge, the precepts and principles of Reiki were born. 1)	Just for today, do not anger. 2)	Just for today, do not worry. 3)	Honor your parents, teachers and elders. 4)	Earn your living honestly. 5)	Show gratitude to every living thing. 1)	Never do healing work without the permission of the recipient. The free will of all human beings is sacred. 2)	There must always be an exchange of energy to insure each person’s active involvement in their own healing process. Reiki cannot be learned through books or traditional educational techniques. It must be passed on through an attunement or initiation process. Dr. Usui passed it on to Dr. Hayashi who opened the first Reiki clinic in Tokyo in the early 1900’s. Mrs. Hawayo Takata brought Reiki to the United States just before WWII. She lived in Hawaii on a sugar cane plantation and became very ill with a tumor, gallstones and a stomach ulcer. Immediate surgery was recommended. At this time in her life, circumstances brought her back to Japan, where the diagnosis and prognosis were confirmed. She chose not to have the recommended surgeries and was put into contact with Dr. Hayashi who healed her completely through intensive Reiki treatments over a period of months. Ultimately, Mrs. Takata was initiated as a Master and brought this elegant healing art form back to Hawaii. Through a series of events related to WWII, she eventually became the only teaching Reiki Master in the world and is widely considered to be the Mother of Reiki in this country. It is learned simply and easily in three or four one or two-day workshops which attune your system to the “healing ray”. Unlike many healing modalities, Reiki cannot be taught through books. There are three attunement procedures which must happen through an initiated Reiki Master Teacher. Much like a three-way light bulb, they incrementally align the chakras and nervous systems to the healing ray of Reiki as well as open the crown, heart and palm chakras to this energy. This is a powerful spiritual experience which creates a special link between the Reiki student and the Source of Reiki. As the Reiki energy is spiritually guided, so too is the attunement process itself. Your Reiki Guides and Masters, seen and unseen, as well as the Healing Angels are present during the procedure. The experience is unique to each individual, but a common thread is an enhanced sense of connection to the Divine. The ability to receive Reiki is similar to all but the ability to perceive Reiki is unique to each. Some visually see the energy, the attendant guides, Masters and angels, the colors of the chakras, etc. Some hear the sound of the energy as a high-pitched humming or the voices of the Masters. Some feel the energy kinesthetically as a warm, tingling sensation. Some simply sense that something special is happening. One student reported that he simply felt a smile on his face when the energy began to flow. The affects differ also. Some students have increased sensitivity and psychic perceptions as the chakras are aligned and the third eye is opened. Certainly, all can receive the ability to heal…if the energy is utilized. The Reiki path is about healing, empowerment and balance. It is about revitalizing and balancing ki to heal you on the deepest of levels. It is about releasing powerful energies into your field of body, mind, emotions and spirit. With daily practice the Reiki practitioner will maintain a high level of emotional, physical, mental and spiritual health, balance and harmony. Once you have been initiated into Reiki, you will be empowered to heal yourself and others as long as you choose to use this gift. This empowerment is enhanced and made stronger with each level of Reiki. And it is refined through practice…practice…practice. Using Reiki for healing alone will bring you great benefit. But for those of you who want to use Reiki as a tool on the path to discovering the deepest essence of who you are, you can use this energy as a springboard to deeper and deeper levels of consciousness. Both powerful and gentle, Reiki has many benefits for both client and practitioner, including altered states of consciousness and spiritual experiences. Many students of Reiki feel more at peace, feel less pain, are more aware and alive and even dream more lucidly. Reiki does not adhere to any particular faith or religion but complements and enhances your path, whatever that may be, because it gives you a direct experience of your Higher Power. Reiki feels magical, spiritual, even mystical, but it is simply unimpeded Divine Order. 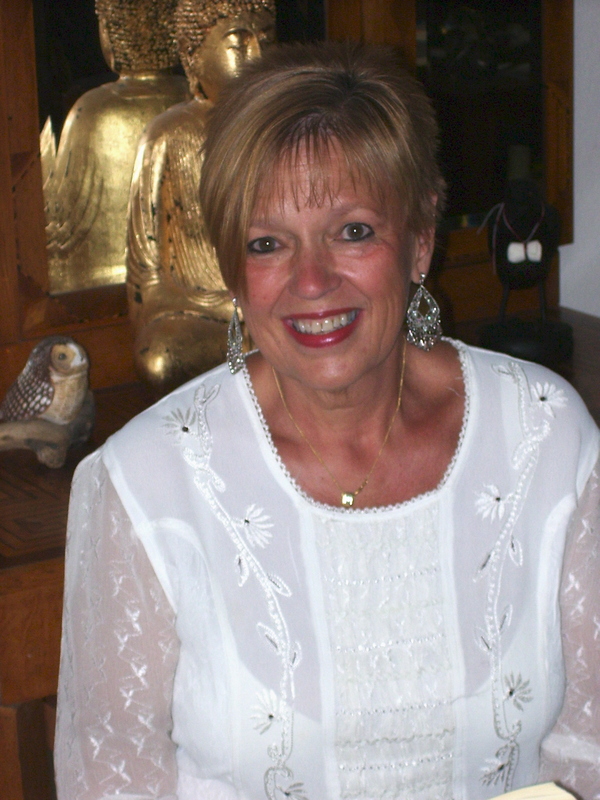 Pamela Arwine is the creator of Quantum Healing Energetics. Mystic Healing Journey, her definitive CD on Reiki Healing can be downloaded at www.shop.pamelaarwine.com.